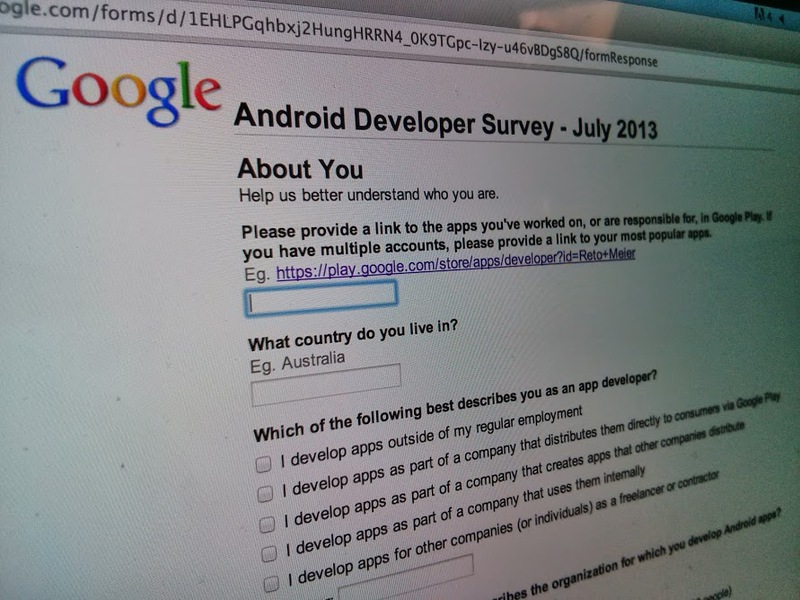 The 2013 mid-year Android Developer Survey is now open! Last year more than 5,000 of you shared your Android Development experiences and challenges with us, and your responses directly influenced our choices and priorities for building things like Android Studio, the new Google Play Publishing Console, and the Google Play services. We in the Android Developer Relations team are passionate about making Android app development a great experience, so we're once again asking all of you involved in developing Android apps - engineers, designers, product managers, and distribution and support folks - to let us know what you think. 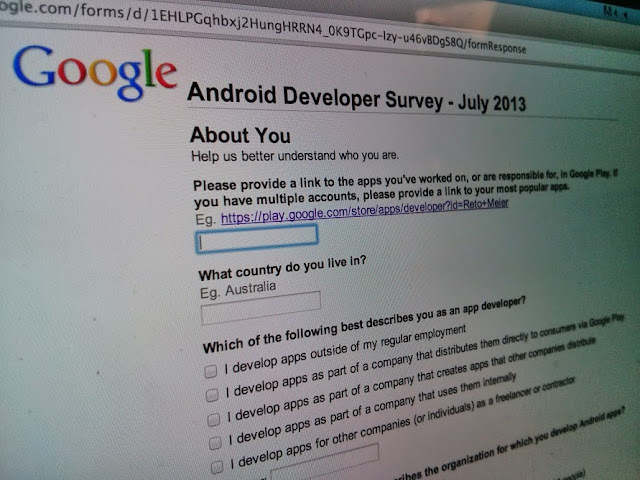 We want to better understand the challenges you face when planning, designing, writing, distributing, and monetizing your Android apps, so we've put together this brief (15-20min) survey that will help us create better tools and resources for you. Last year you told us you'd like a way to give us general written feedback, so to facilitate this while keeping the survey short and simple, we've included a link at the end of the survey that will let you send us as much direct feedback as you care to, completely anonymously. Of course, you can always send us your thoughts, questions, suggestions, and complaints any time by posting to us (publicly or privately) on Google+ at +Android Developers or using the hash tag #AndroidDev. As always, we're looking forward to hearing your thoughts!